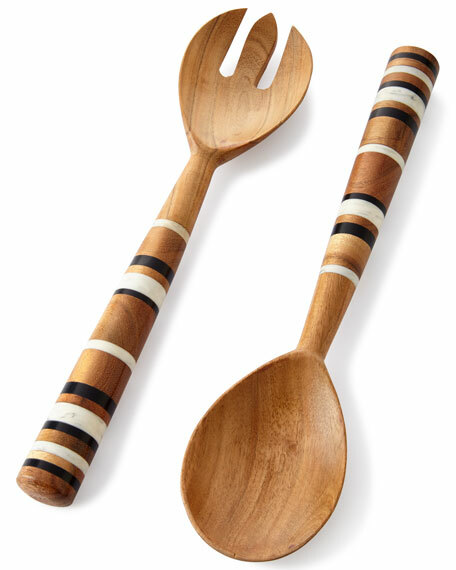 Pair of handcrafted salad servers. EXCLUSIVELY AT NEIMAN MARCUS Silver-plated flatware. 92-piece service includes twelve five-piece place settings. Set also includes 12 extra teaspoons, 12 extra salad forks, four serving spoons (two pierced), two serving forks, gravy ladle, and sugar spoon. Hand wash. Imported. A charming way to serve cream, hot fudge, warm syrup, salad dressing, and more. 5.75"W x 4.5"T; holds 14 ounces. A charming way to serve cream, hot fudge, warm syrup, salad dressing, and more. 5.75"W x 4.5"T; holds 14 ounces. 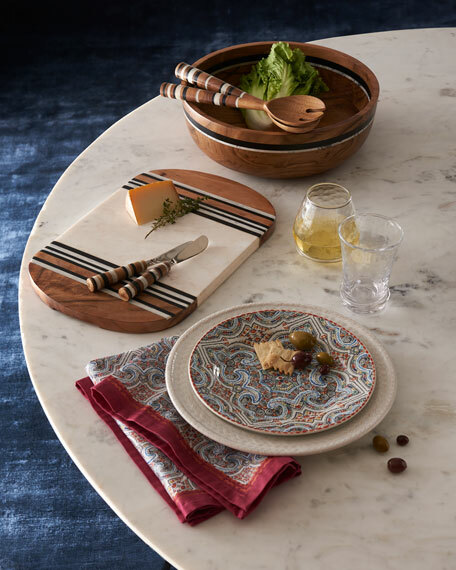 Hand-glazed, heavy-gauge steel with hand-painted Courtly Checks®. Hand wash. Being handcrafted, each will be unique and vary slightly. Imported.